Chicago is home to some of the greatest professional sports teams in the world. So much history is in the heart of Chicago sports and there are few places that have as loyal fans as the city of Chicago. Chicago houses one NBA team, two Major League Baseball teams, a professional hockey team and is home to the famous Chicago Bears. Chicago and the surrounding areas give its residents a large variety of sports events to choose form. Nothing is more fun and entertaining than attending a professional sporting event with your friends or family. Some of the greatest games in history have taken place in the city of Chicago and how wonderful would it feel to be a part of that history. The Chicago Bulls are six time NBA champions and team to the greatest basketball player on the planet, Michael Jordan. The Bulls call the United Center their home court and are always a strong competitor in the league. Some of the greatest games in NBA history have been played at the United Center and the Bulls continue to provide basketball fans with a great deal of excitement and entertainment. If you are a baseball fan then you have two venues to choose from, with the Chicago Cubs and Chicago White Sox both calling the city home. The Cubs play their home games at the historic Wrigley Field, while the White Sox call Cellular Field their home. They are both beautiful ball parks that make any baseball game enjoyable. The Chicago Blackhawks have often been called America’s hockey team and are the current champions of the NHL and Stanley Cup. The Chicago Black Hawks call the United Center their home and are always a fierce competitor within the NHL. The Chicago Bears are a prominent football team within the NFL and play their games at Soldier Field. Going to a Bears game is an exciting experience as Bears fans are some of the most loyal fans within the National Football League. 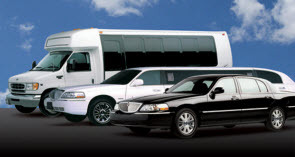 There is no greater way to arrive to a sporting event than in the comfort and style of a limousine. The city of Chicago is a great place to site see on your way to watch your favorite team play. 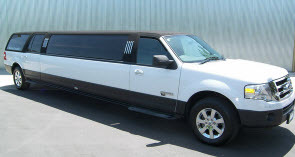 Rolling up to the stadium or arena in a limousine will leave you, your friends and family feeling pretty special. 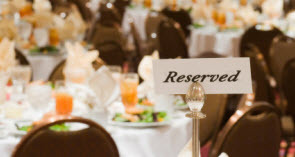 No need to worry about parking, walking a long way to get into the venue or forgetting where you parked your vehicle. Contact Pam’s Pretty Limousines to arrive to your favorite sporting event in style.